When you communicate with us, you are voluntarily giving us information that we collect and may process. We also use various technologies including Cookies to collect and store information when you visit our website. Or, we need to process your data for the fulfillment of the contract, which you have entered into with us. Please note if you choose not to provide any information requested, this may limit our ability to fulfill our contract with you. Or, we are processing your data as you are an existing client. This is known as legitimate interest. You have the right to request a copy of the personal information we hold about you and if you believe that any of the information that we have about you is incorrect then we can rectify this. If this is the case or if you wish to see the data we hold on you, please email info@forrestalflooring.co.uk or contact us in writing. We will comply within 30 days of receipt of your communication requesting access or amends. You have the ability to opt-out or update how you receive marketing communication from us by clicking the Update Preferences or Unsubscribe link in any of the marketing emails we send you. You can also withdraw your consent to us using your personal information. In order to withdraw your consent, please email info@forrestalflooring.co.uk or contact us in writing. You can also ask to be ‘forgotten’ and we will remove your personal information completely from all our systems (where there is no legal obligation to retain it) and we will not communicate with you further. If you would like us to ‘forget’ you, please email info@forrestalflooring.co.uk or contact us in writing. You have the right to move, copy or transfer the personal data that we hold on you from one IT environment to another. In order to exercise this right, please email info@forrestalflooring.co.uk or contact us in writing. We use the information we collect so we can provide, maintain and improve our services as well as better understand our clients’ requirements. We also use this information to offer you tailored content. We use information collected from cookies and other technologies to improve your user experience and to show you tailored ads. Please note that even if you opt-out of receiving marketing communications from us, including customised online advertising, you may still see generic online advertising from us.  We do not disclose information to companies or organisations outside of Forrestal Flooring unless we have your consent to do so, we are obliged to for legal reasons or we need to do so for the fulfilment of our contract with you i.e. to enable your project to be dealt with efficiently. We also process data through third party companies who supply our email newsletter services (i.e. MailChimp), online advertising (e.g. Facebook, Google Adwords and Bing) and sales management platforms, our payment system, and those who conduct postal mailings on our behalf. Some of these service providers may be based outside of the EEA (European Economic Area). However, if this is the case, these will be within countries that the EU has determined offer an adequate level of data protection, like the US, where personal information is protected by the EU-US Privacy Shield. In processing, we may be required to disclose your personal information to public authorities and fraud prevention agencies. We have measures in place to protect the personal information held by us. Our websites are protected by enhanced SSL certificates. We have conducted an audit of our information storage and processing practices, including physical security measures, to guard against access to data by any unauthorised persons. Please note however that no data transmission over the internet can be considered 100% secure and as such, when you transmit any information to us, you do so at your own risk. You also have a responsibility to maintain good internet security and to notify us of any security breaches that may affect us. A cookie is a small text file that is downloaded onto the device you are using to access the internet when the user accesses a website. It allows the website to recognise that user’s device and store some information about the user’s preferences or past actions. We only collect and store personal information on our website when you explicitly give us this data e.g. by filling out a form. Everywhere else data is anonymous. Find full contact details on our Contact Us page.